I grew up in Ojai, California and have lived in Paris with my family for the past three years. I studied creative writing in New York and practiced as a health care attorney in San Francisco. I’m now working on a Master of Public Health degree from the University of Edinburgh’s distance program, learning Arabic, and trying to plan as much family travel as I can. 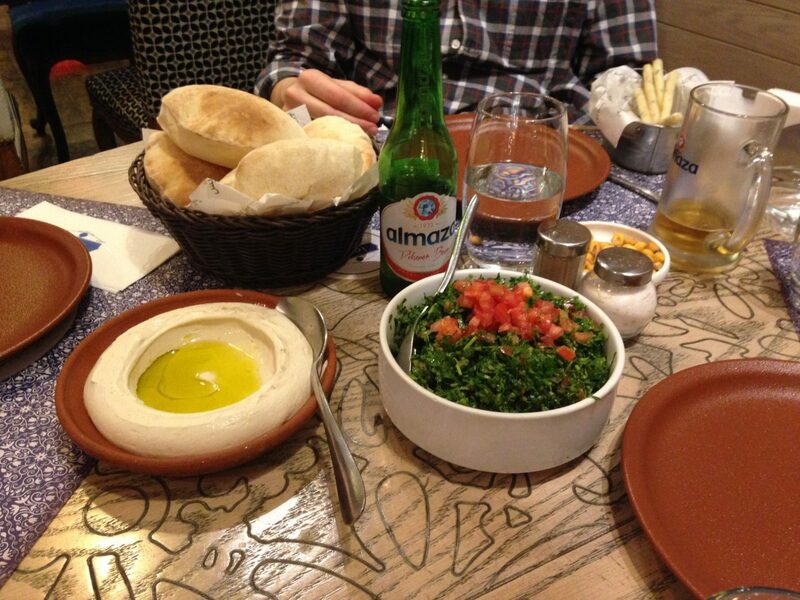 “Hands down, Lebanon has been our favorite destination. We loved the people, the food, the culture, and the historical sights. It’s truly a country with everything, and you can get just about anywhere in a few hours’ drive”. 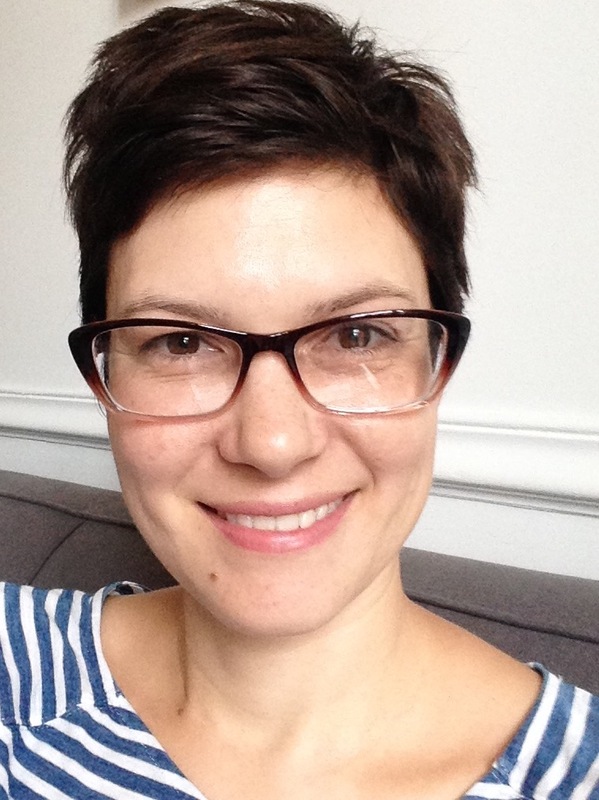 I’m Aimee, originally from California and now living in Paris with my husband and our two kids, Caspar and Sylvie, who are four and two years old. We’ve been in France for three years and love being abroad – the opportunity to explore another culture, to (attempt) to speak a new language, and to watch our kids grow up bilingual are all things we’re grateful for. In particular, the ease of travel to so many interesting places has been a major benefit! While we’re game to go just about anywhere, we especially love traveling to places that are a little off-the-beaten track. In the past year we’ve taken trips to Albania, Latvia, Estonia, and Lebanon, and future plans for this summer and fall include Sarajevo and Tunisia. 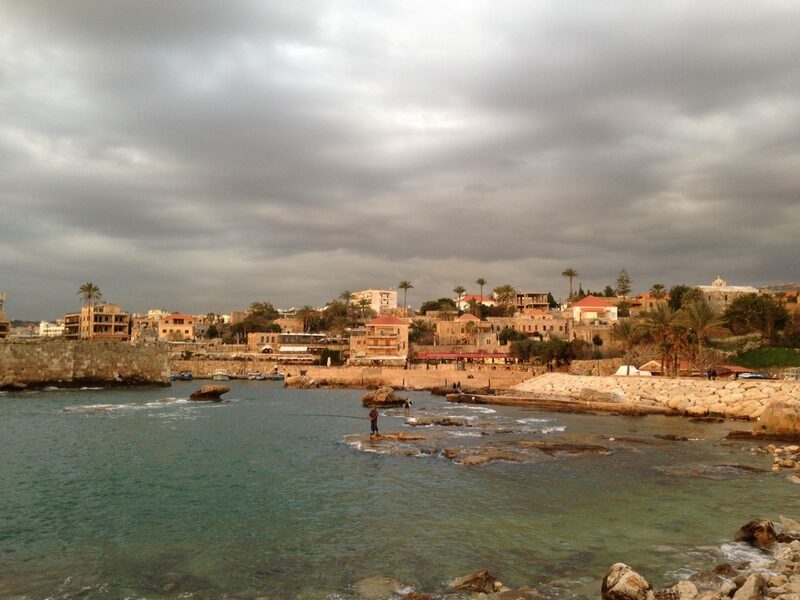 Hands down, Lebanon has been our favorite destination. We loved the people, the food, the culture, and the historical sights. It’s truly a country with everything, and you can get just about anywhere in a few hours’ drive. While definitely doable with children of any age, it’s probably an easier destination with slightly older kids. In Beirut, for example, sidewalks are often non-existent so kids need to be able to do some walking, or the parents have to be ok with some lifting and maneuvering of strollers! If your child is small enough, definitely take a sling or carrier. Public transportation is unfortunately very limited and most people take taxis wherever they need to go – but bear in mind there’s always a lot of traffic and the driving-style can be eye-popping for those used to more orderly rules of the road. If you have car-sick prone kids, like we do, be prepared! We brought BubbleBum travel boosters for the shorter taxi rides within Beirut, but weren’t always able to use them. For longer day trips, we used a tour company that provided car seats. 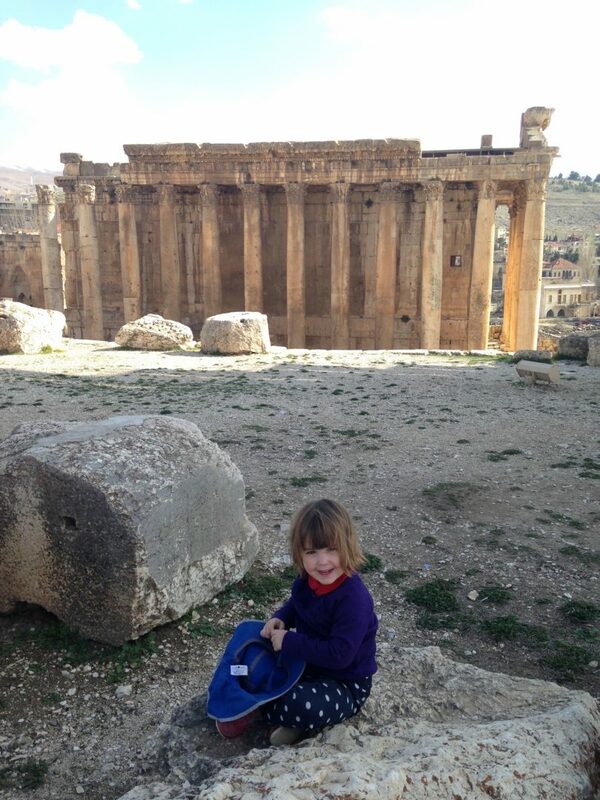 That said, Lebanon is one of the most welcoming places we’ve ever been, especially for kids. Everywhere we went our two were doted upon, from the Mohammad al-Amin mosque in downtown Beirut, where nobody batted an eye as Sylvie scampered across the carpet, to the streets of Bourj Hammoud, where both kids were gifted with little flags that they waved proudly the rest of the trip. While it’s rare to find a restaurant with a highchair, sometimes our kids were hardly even at the table, having been spirited off by the wait staff for a turn around the dining room and a tour of the kitchen, only to reemerge with a plate of strawberries or a chocolate bar. They were thrilled and we got to take at least a few bites in peace! In particular, Loris on Pasteur Street was both out-of-this-world delicious and had incredibly friendly staff. If you head east to Baalbek, Lakis Farms is great for kids – not only is the food outstanding, you can watch the sfiha being made and baked, as well as the bread heading in and out of the oven. The kids loved it. And there was even a highchair! “I’d recommend choosing something in that’s right in the middle of a neighborhood like Gemmayze or Mar Mikel, where you can easily walk to shops and restaurants”. 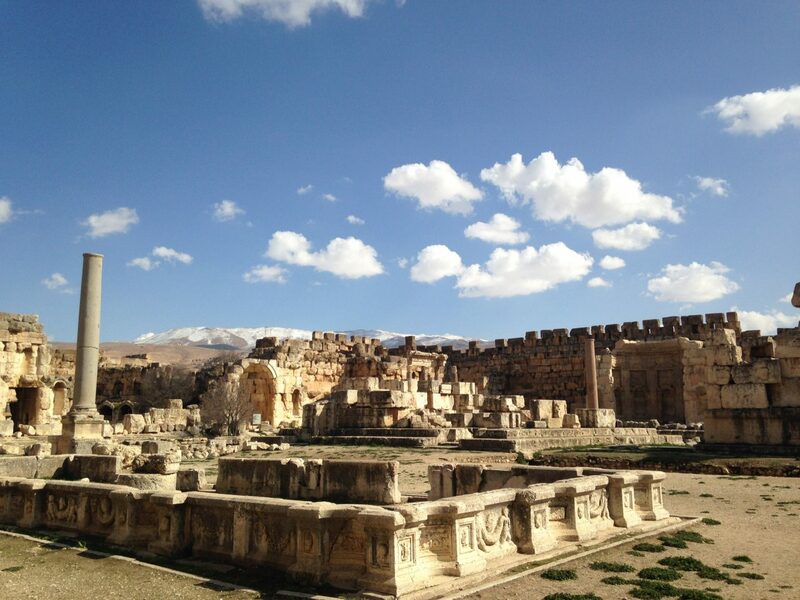 The biggest highlight for us had to be the Roman temples in Baalbek – one of the most incredible places I’ve seen in my life. And there was LOTS of space for the kids to run around! 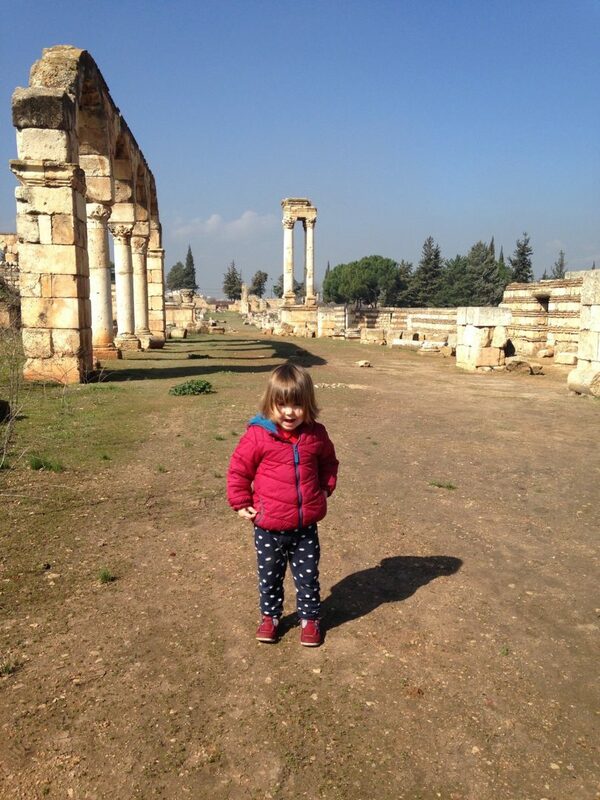 Other favorites included visiting the ruins in Anjar, strolling the Corniche and going to the National Museum in Beirut, walking on the beach and by the harbor in Byblos, and spending a day in the souks of Tripoli. My son’s favorite activity was walking past the discount clothing shop that had a giant stuffed Snoopy and a live, gray parrot out front – he’s still talking about it. 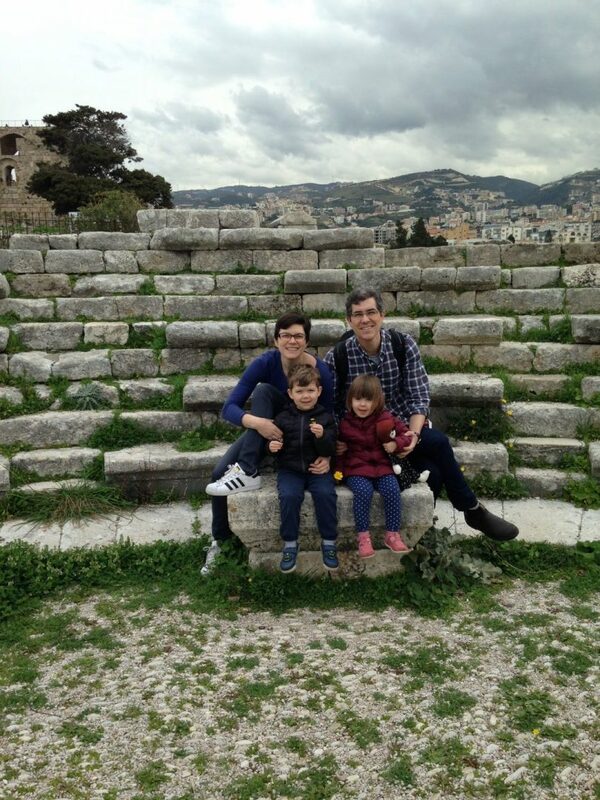 In Beirut, we stayed in an Airbnb, which worked well; I’d recommend choosing something in that’s right in the middle of a neighborhood like Gemmayze or Mar Mikel, where you can easily walk to shops and restaurants – we liked our neighborhood, in Fasouh, but were a little farther afield. In Byblos, we stayed at the Hotel Ahiram, a friendly place on the beach that will provides baby cots and includes breakfast. 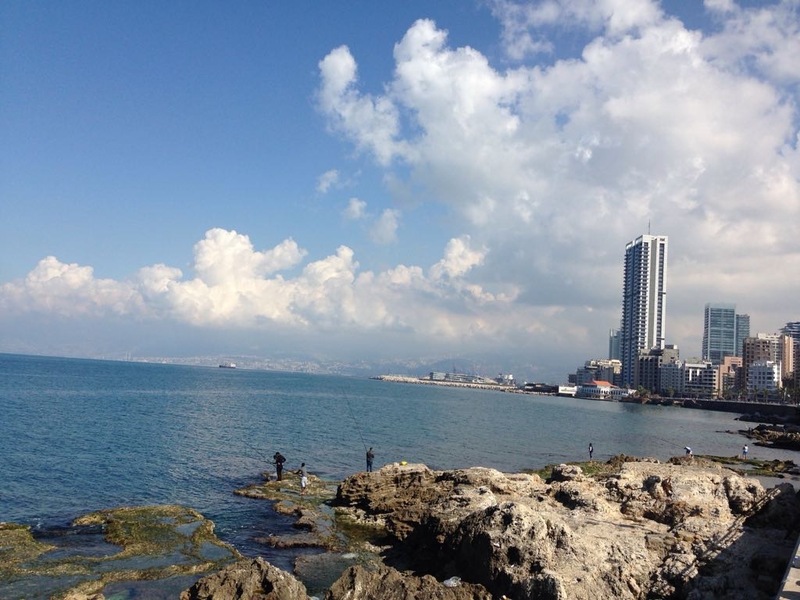 I’d definitely recommend spending some time in Beirut but also visiting other areas to get a break from the city. We would have loved to visit the Chouf Mountains or Qadisha Valley, both of which were recommended to us, but we ran out of time! We’re already thinking about how we can make a return trip soon. A quick note about safety, we’ve been asked about it a lot. 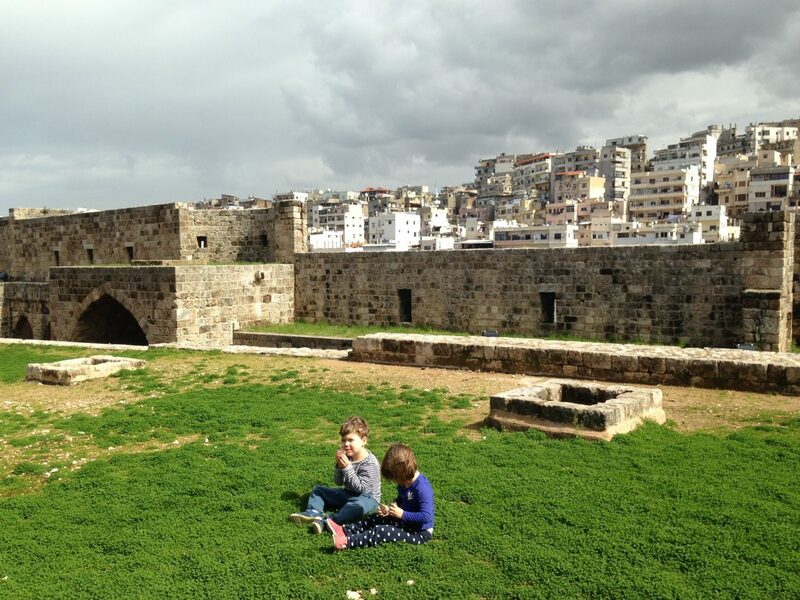 Some of the places we went to are currently on travel advisory lists in the U.K. and U.S. We spoke with a number of people from or familiar with Lebanon and decided that, for our family, we were comfortable making the trip. While we were in Lebanon we did not, at any point, feel unsafe. Everywhere we went, people were friendly, helpful, and polite. Art supplies – stickers, crayons, pens, coloring books, notepads – to make our often-squirrely kids sit quietly in a restaurant! I carry a lot of activities in our daypack, often from Melissa & Doug, like reusable sticker pads, Make-A-Meal placemats, Water-Wow books and won’t leave home without them. If it’s feasible, we find that staying somewhere with separate rooms for sleeping and playing makes a big difference – we’ll choose an apartment over a hotel room if budget and availability allow. The kids do better when everybody has a bit of their own space to relax in. And if we’re away for more than a few days, with a messy two-year-old, a washing machine is a must!